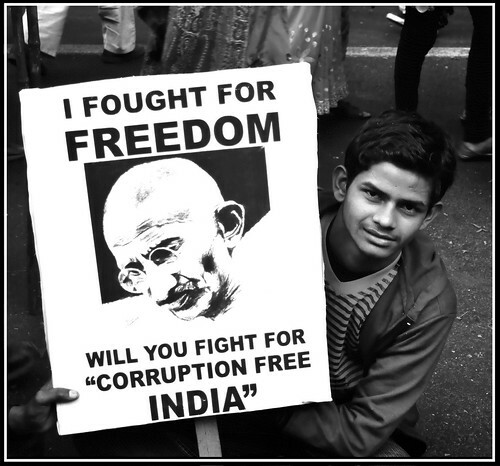 Corruption in India, just as anywhere else in the world, is a thing that just drags down the quality of life for everyone around it. It really is disheartening and it feels like it’s a cultural quicksand that’s been around a long time before anyone that could possibly be reading this was even born. In that respect you could actually have a laugh about it, if you have a bleak enough sense of humor. Think about it, all the corruption and crime and the ugliest parts of human beings has been around for centuries, a long enough time for there to be criminal dynasties that have a longer lineage and more diverse history and culture to them than some of the young countries of the world. But getting back to the focal point here; corruption in India particularly is considerably severe when it is one the most densely populated places on the planet. Even a small amount of corruption in such a place can go a long way and affect millions of lives. Thankfully, India is not as highly populated as China; however China has been reported to have a lower place in the “corruption ranking” if there is such a thing. It’s touching to see the venerable Mahatma Gandhi’s influence felt in nonviolent protest even generations after his passing. Thank you flickr.com! It’s easy enough to see why people are attracted to corruption, and the reality is pretty simple: it gets you what you want. Whether it’s greasing the wheels of a corrupt government official with a fat bank account in Switzerland or passing some cash off to a corrupt cop to look the other way after running a few red lights, corruption isn’t anything new to anyone. It’s too ordinary and mundane, we’ve grown too complacent and passive and apathetic to the everyday evils around us. The people of India aren’t ignorant to this at least. You can see a debate online fairly commonly. The results are not a surprise in the least, but it’s no less disappointing. Most people in any given nation would likely to be naïve or incredibly idealistic if they hope their nation will ever be corruption free. We as a global culture, especially in democratic societies with free markets that value civil rights, are far too vulnerable to corruption around us. Our governments, bless their hearts for erring on the side of trying to protect the innocent, are incredibly lenient on corruption. Sadly the policy makers that control the government, the ones in the best possible position of power that would influence how weak or tough our legal systems are on crime, are among the most corrupt parts of society. At the very least, they’re the people that should be corrupted the last because of how important it is that they are incorruptible for the sake of the people they are elected to represent. Over the years it seems that as technology, communication, and transportation have been enhanced, so too have the means of corruption to reach its goals. But so too has the advancement of ways to monitor and cease corruption. It’s an uphill battle of wills over the generations to keep corruption to a minimum and to keep peace and prosperity up. Courtesy of flickr.com you can see that some people even in a nation with a strong military such as the United States, have difficulties with corruption as well. © 2018 Saaku, All rights reserved.